Ptolemaeus had spread the story to any who would listen. He talked about Jesus--who had died, been buried, rose from the dead, and was coming again--and people had responded as if they were thirsty and he was offering water. In a way, he was. One of the women in the crowd had encountered the God he spoke of and came away from the moment a different person. She had found conversion in his words and stories. 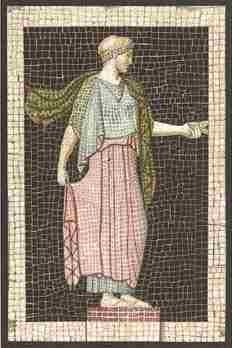 Ptolemaeus had passed the spark of the Holy Spirit onto her and she had taken it with her back into the life she came from.